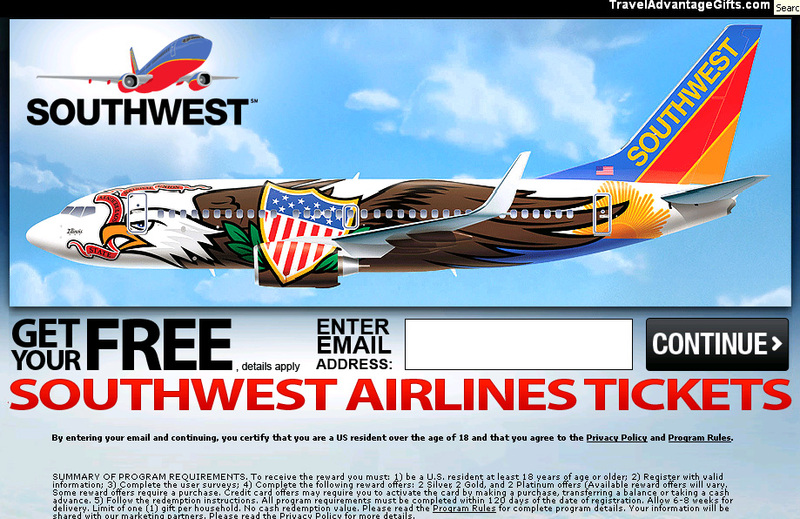 Southwest Airline is currently giving away 2 FREE Tickets to all facebook users! If you read the fine print, you have to complete user surveys and a total 6 reward offers. We have never known of one person to actually receive the item being offered in promotions like this. They appear to be fraudulent marketing gimmicks!